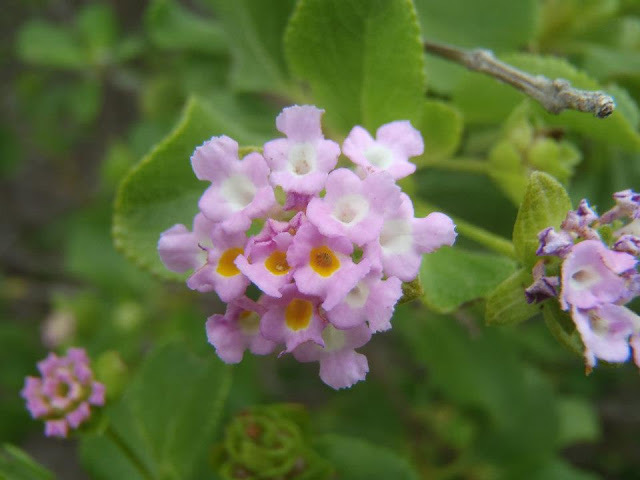 In honor of Easter, Lantana Camara, Big Sage, or West Indian Sage, the only species to date that reminds me of candy. The clustered flowers come in a kaleidoscope of colors, some varieties all on the same bloom, from white to purple, yellow, red, pink, orange, even blue. I love the strong fragrance of this plant; the flowers, the leaves, the stems, everything is highly aromatic. But though you may be tempted to a little taste of this lovely, be aware, the entire plant is highly toxic! 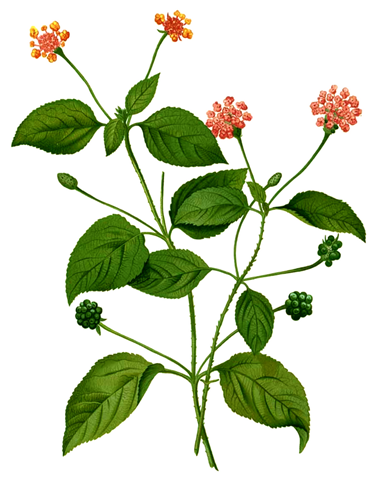 The green berries are the most poisonous and can actually be fatal to humans or animals. 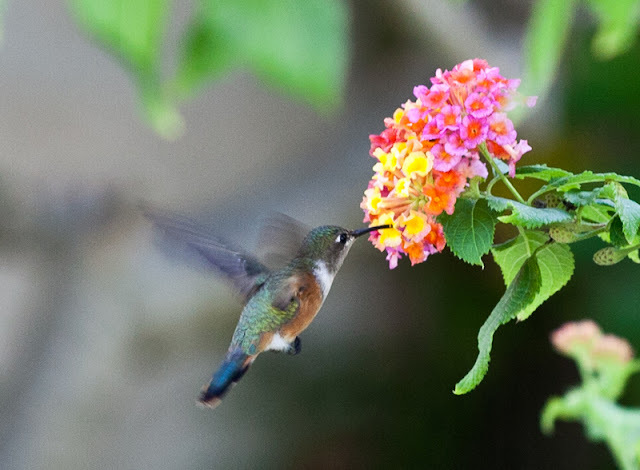 This species, part of the Verbenaceae (Verbena family), is a small tropical perennial shrub that may grow up to ten feet. The stem and leaves are hairy and the species is known for it’s hardy nature, even considered invasive in some parts of the world. It likes full sun and well drained sandy soil, has some salt tolerance, and is known to revive after you may think it dead (another reason it is appropriate for Easter). It requires little water, is mostly immune to pests or disease, and has extreme heat tolerance, to the fact of being called fire resistant. It will grow and quickly colonize burnt areas. 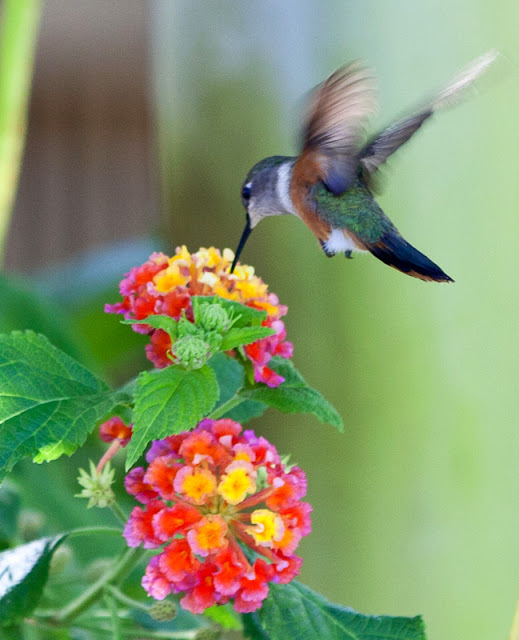 The flowers bloom all year long and will attract butterflies to the garden to pollinate, or as you see below, hummingbirds. 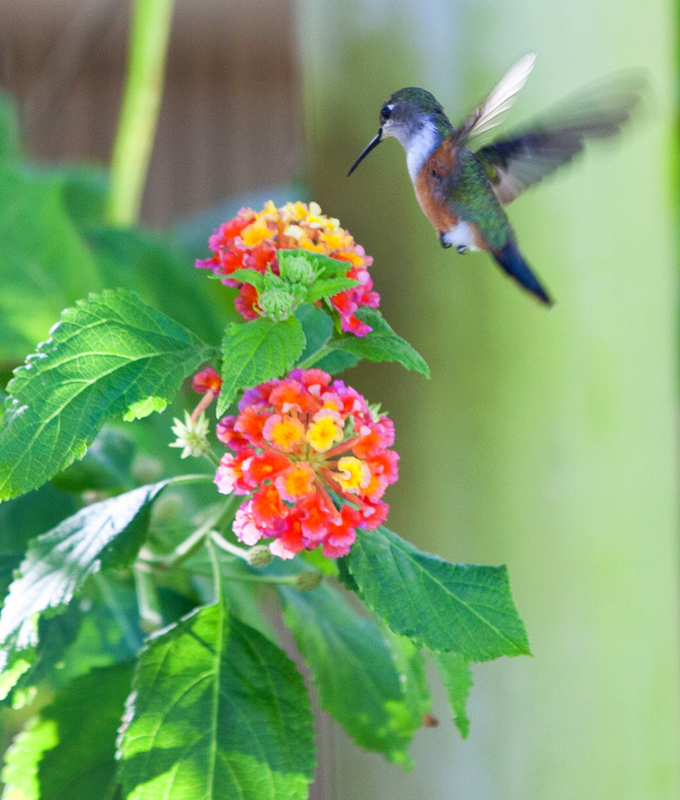 Above and below images via one of our Fleur de Lys Villa guests, Mathew, in the courtyard last February. 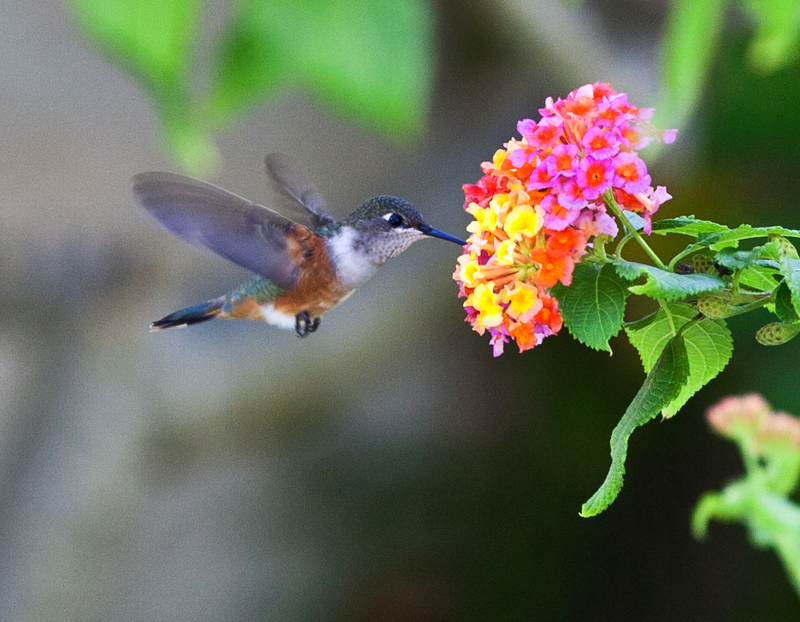 Based on the coloring I would guess this is a male Bahama Woodstar hummingbird. Our current guests, also bird watching enthusiasts, we bid farewell to today as the head back home to British Columbia. This family has been a real treat to host at the villa, they really enjoyed all the nature surrounding Fleur de Lys and Turks and Caicos. Much gratitude to the Radley’s, bon voyage and we hope to welcome you back to Turks and Caicos in the future. This entry was posted in Bahama Woodstar, Big Sage, Field Guide Friday, hummingbird, Lantana, Turks and Caicos, Turks and Caicos Islands, West Indian Lantana on March 30, 2013 by pepperkeystacie@gmail.com.